The building seen in the foreground is the second incarnation of Walker Hall, which was rebuilt after a fire destroyed the first building in 1882. This building was torn down to clear the site for the construction of the Robert Frost Library at Amherst College. 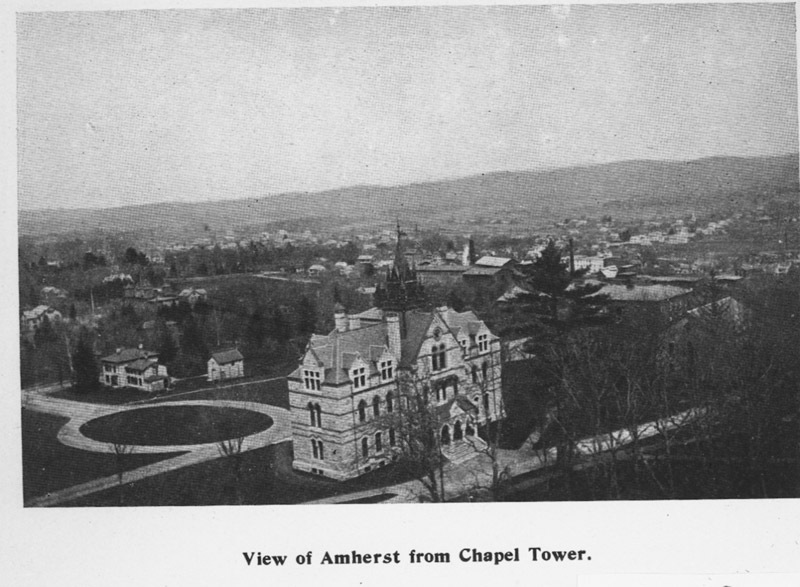 Lovell, John L., 1825-1903, “View of Amherst from Johnson Chapel tower,” Digital Amherst, accessed April 23, 2019, http://digitalamherst.org/items/show/102.